Krist Novoselic (former Nirvana bassist) tweeted few days ago that he will be playing with the Presidents of the USA at the Southwest Washington Fair (Friday, August 19). Krist Novoselic: I will be doing a couple of tunes with the Presidents of the United States of America at the SW Washington Fair next Friday. 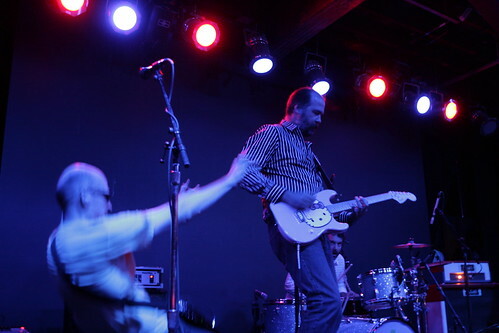 Krist Novoselic has played with the Presidents before (2003 & 2009), and Krist also made a guest appearance on Caspar Babypants (Chris Ballew from the Presidents) album “This Is Fun!” 2009.